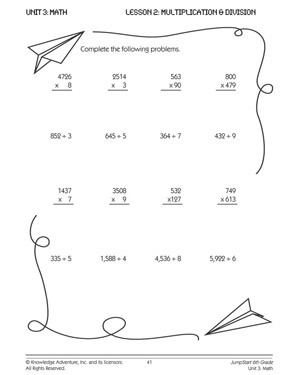 After addition and subtraction, kids move on to learning the inverse of these operations – multiplication and division. Give kids our printable ‘Multiplying the Divide’ worksheet and help them brush up their multiplication and division skills. It’s a great way to gauge how well kids have understood the different concepts and how fast they can solve problems of varying degrees of difficulty.